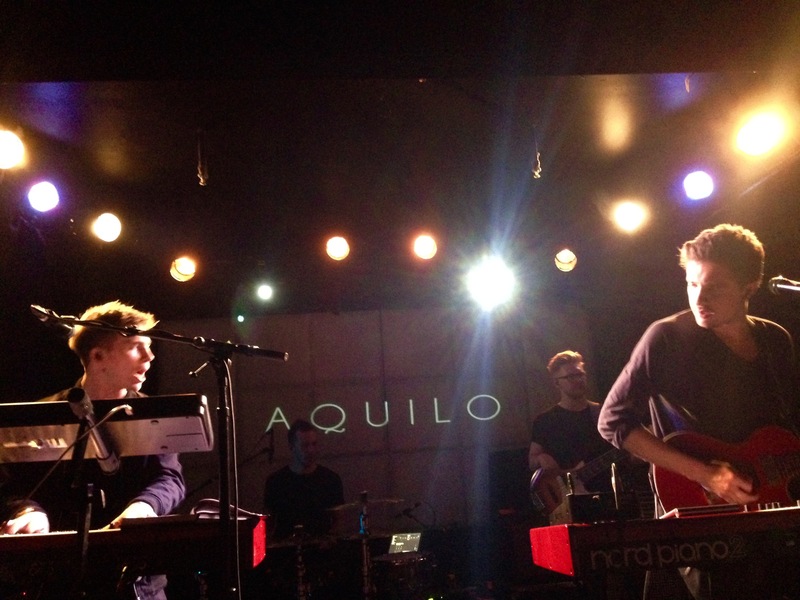 Photo: Aquilo live at The Echo. Ben Fletcher (left) and Tom Higham (right). 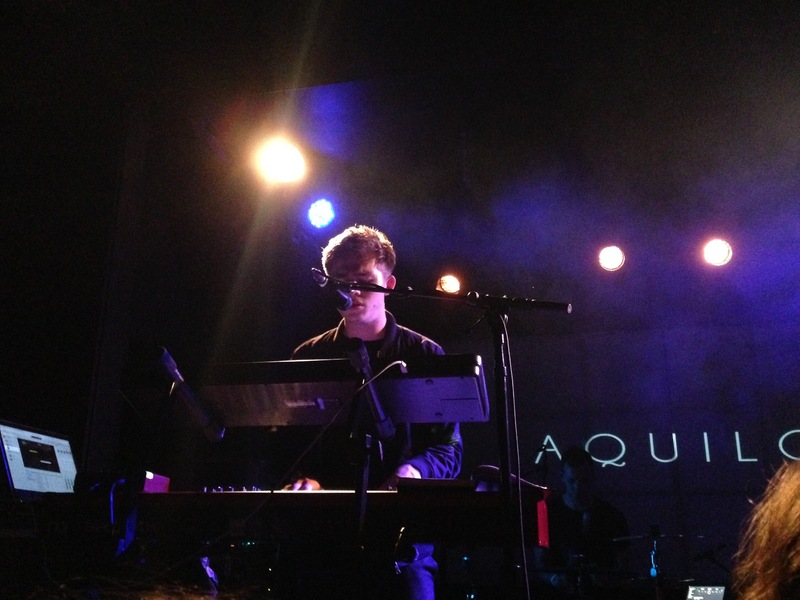 We saw the “Good Girl” British songsculptors, Aquilo, live and guiltily indulged in the saccharine lines of “I Gave it All.” The duo juggled guitars and keyboards during their performance in The Echo (Los Angeles) about a week ago, producing a heavy-hearted chillsphere that weighed us down in their darksweet momentum. 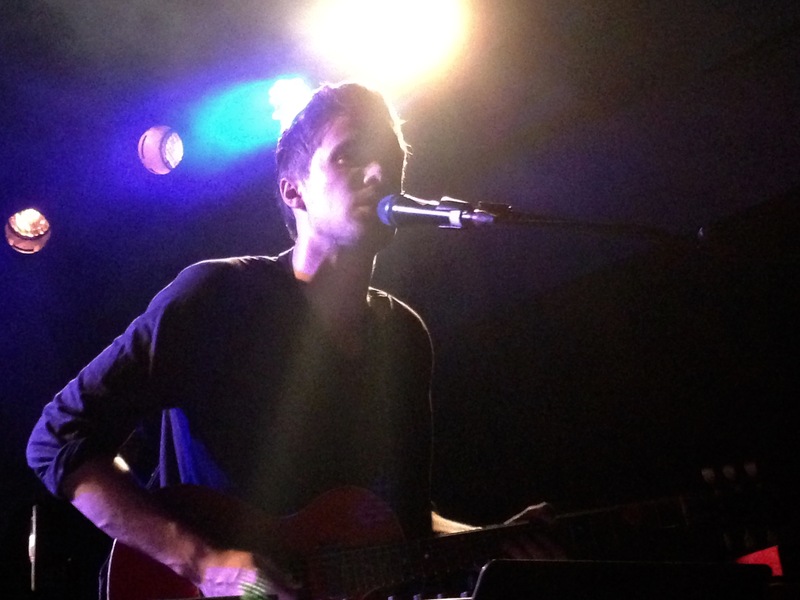 Photo: Tom Higham – the vocalgasmic dude. 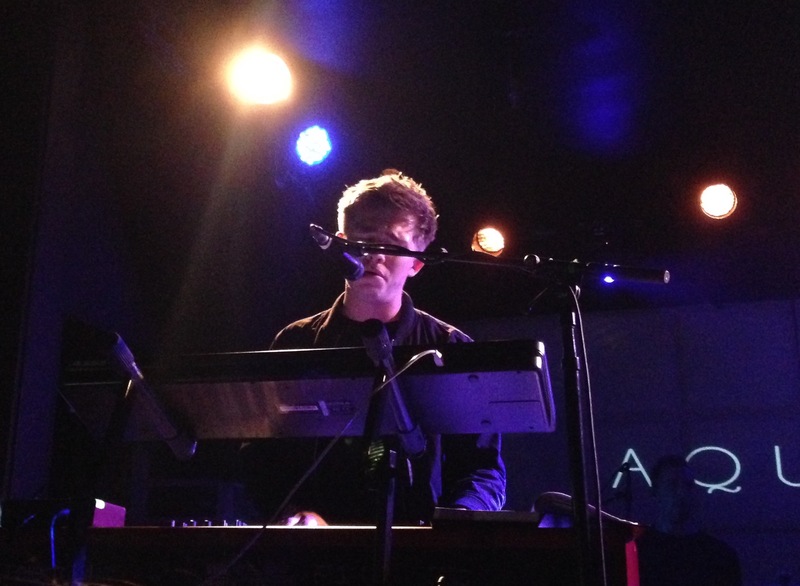 Photo: Ben Fletcher. Didn’t sing as much as Tom but made the best hormonal facial expressions. Photo: That light over his head though…super annoying. 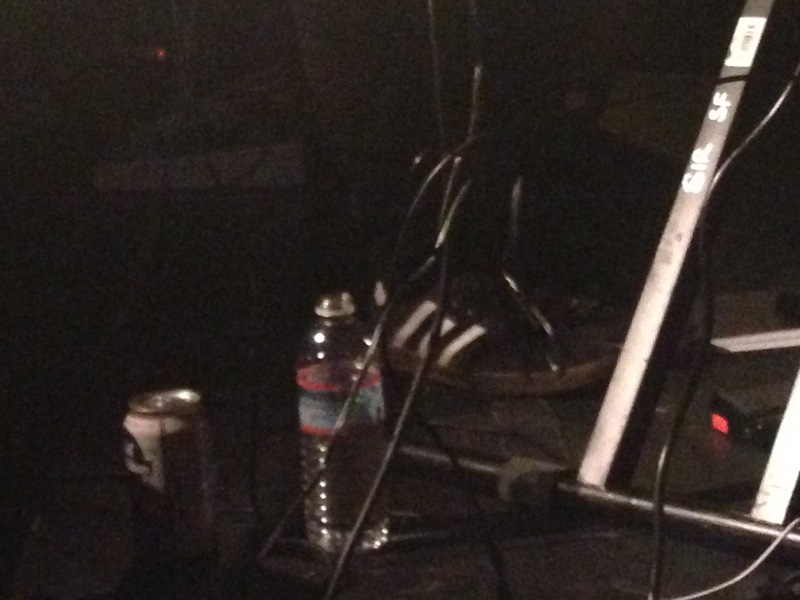 Photo: Duo in one photo. 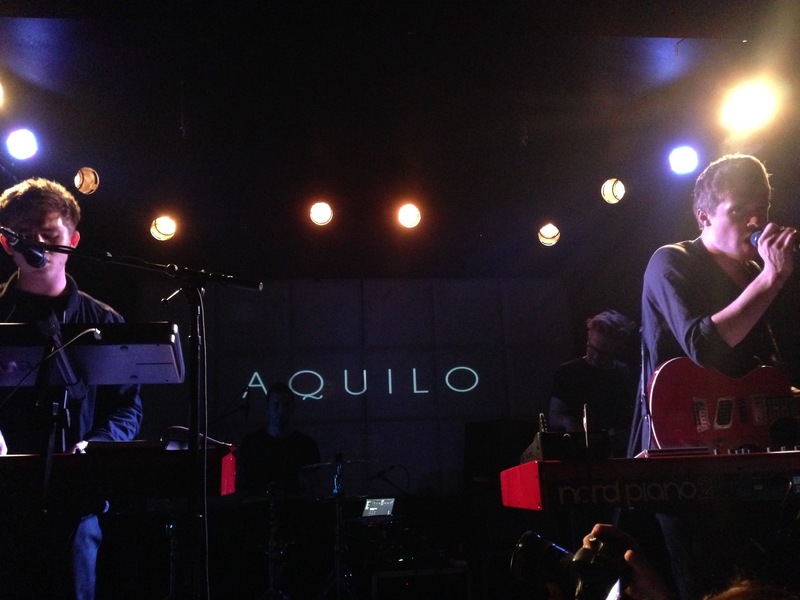 The pair played new songs from their recent EP, Calling Me, which was released back in June. 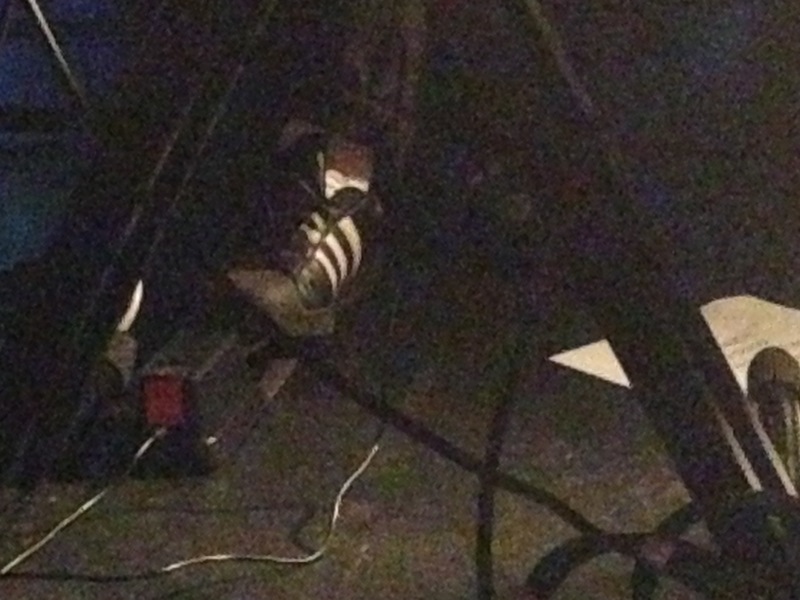 Also, we couldn’t help but notice that all of them were wearing Adidas…usually we see converse-vans-docs in a band, hence we are assuming that they are the walking ads of the brand. We know what you did there Adidas. 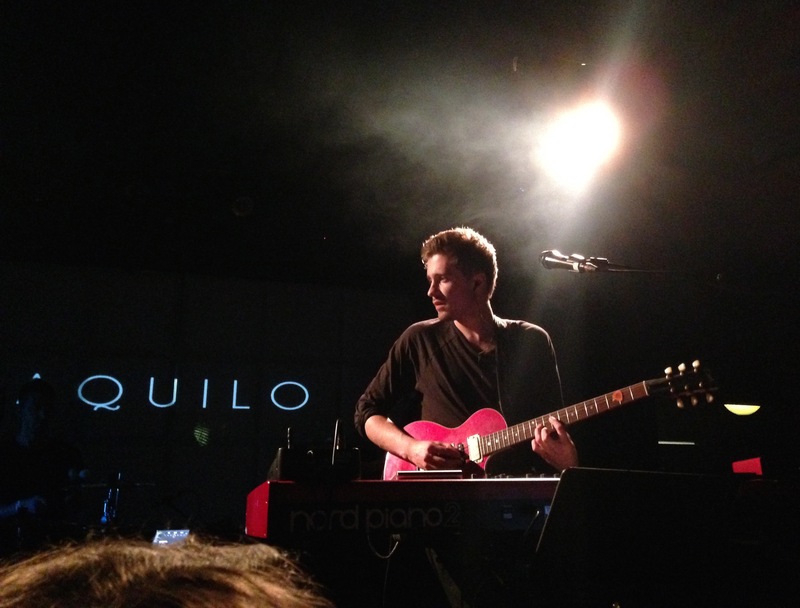 Although we admit, Aquilo for Adidas is a melodious slogan.